4 to 11-piece Abba tribute act, 1 hour live set. 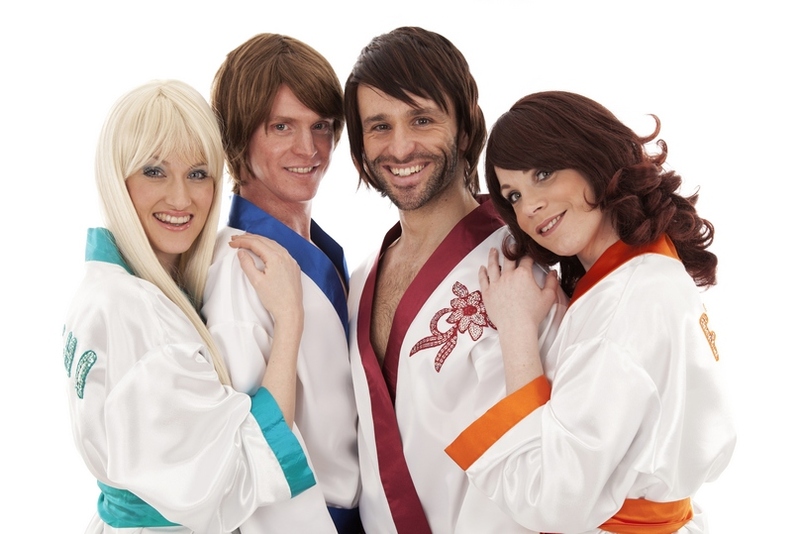 If you’re an Abba fan then Bjorn Super are the perfect choice for an evening with Agnetha , Frida, Benny and Bjorn will amaze you and your guests with fantastic costumes, choreography and live vocals with a hugely entertaining and interactive show. Since their inception 10 years ago they are veterans of the stage and have worked with some of the UK's top function bands, performed in a number of West End Musicals including Mamma Mia, Cats, Les Miserables, Fame, Grease, Evita and Blood Brothers as well as appearing on TV shows, films, commercials. You can often hear their voices on TV and radio adverts as well as performing backing vocals for well know recording artists and bands. Members of Bjorn Super have worked with the likes of Take That to Lady Gaga to Status Quo to The Feeling and them some!! Bjorn Super have performed at private functions at hundreds of prestigious venues and events around the worlds from the Ritz in London to The Mall of Emirates in Dubai. Thank you for entertaining us all last night, we all enjoyed it very much, especially Dad! You not only put on a very entertaining show, which was professional throughout, but you also made a fuss of my Dad in a thoughtful and caring way for which we are very grateful! Thank you so much. Just a quick message to let you know that we thought the Super Swedes were simply sensational last night - the whole yacht is still buzzing this morning!" Just wanted to drop you a line following the Abba night at the Wyllotts Theatre to say a big thank you! My other half and I had a really fun night; we really enjoyed the act and the audience participation, we were up on our feet dancing too! We came away singing Abba for the rest of the night (very badly)! Personally I have to say the song highlight for me was 'The Winner Takes it All' - really well sung, but obviously enjoyed all the dance stuff too. Thanks again - we had a great night out. Had fabulous evening with a group of friends at this very comfortable and friendly hotel. There was an ABBA tribute band playing, and they were amazing - extremely interactive with the audience and great fun was had by all.....and they really sounded just like ABBA!